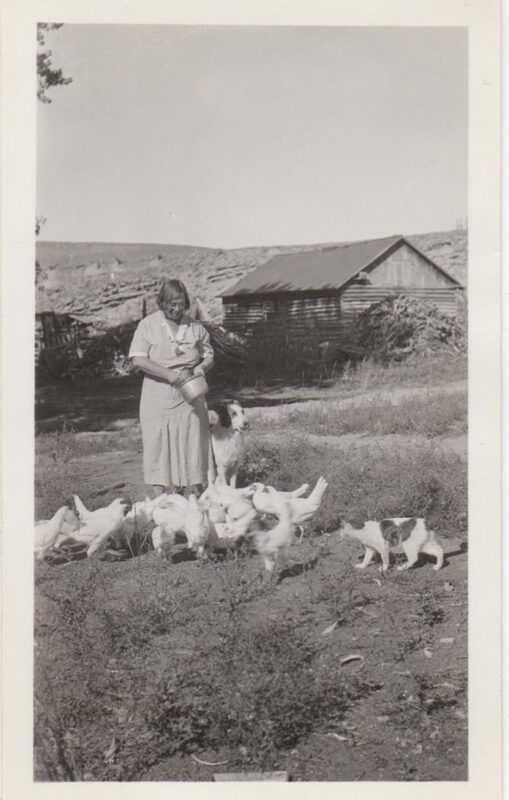 Dora Greet feeding her chickens with help from the cat and dog. Up on careful consideration, I think you are right. It does look more like Dora the more I look at it. Beside, she seems taller than I remember Wyoma being! I think that is Wyoma Pyle.